If you have been in India in the last couple of months, you will not be faulted if you came to a conclusion that the word “Intolerance” means something which adds 2% to the country’s GDP every year. Like they say of GST for example. 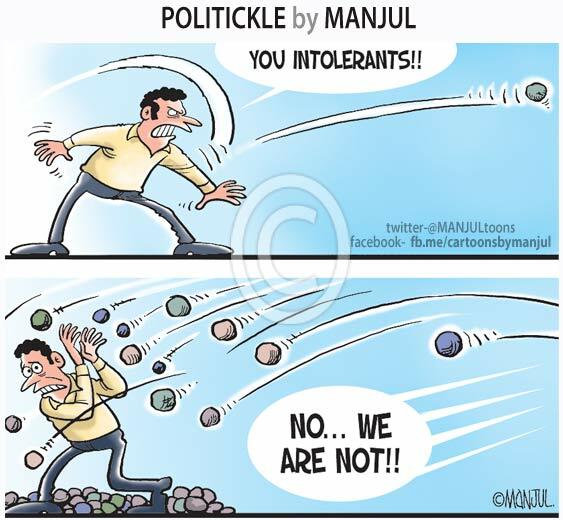 The “Intolerance debate” revolving around if India has become a terribly intolerant nation these days has been hogging headlines in Newspapers, Prime time news and keeping social media busy. From whatever I have seen, there are 2 narratives in this debate. One which is typically the left of centre position that says that post Narendra Modi’s ascent to the 7RCR, there has been growing intolerance in India as manifested in day to today statements from ruling party leaders and the silence or rather the failure of the PM to rein in these. Apart from tearing apart the Govt. many from this side, kicked off what is now known as the Award Wapsi as a mark of protest. The other which is the right of centre – proclaims that there is nothing of that sort and all’s well. And they keep reminding that there were enough facets of intolerance before BJP came to power as well and that time there was hardly a semblance of protest. And may be the old patriarch L.K.Advani would like to call it the “Pseudo Tolerance” of the Congress times😜. The jumping of celebrities particularly into this “Intolerance debate” like Aamir Khan in the last week added combustion to this raging fire. As I write this post, the fire still lingers on. As per me, India is as tolerant now as it was all along or it is as intolerant as it was all along. We have been seeing that for any issue, while there is a majority opinion which leans on tolerance there is a fringe opinion which is the opposite. Depending upon the issue in hand, this intolerance has been surfacing irrespective of the party in power. And intolerant behavior has emanated from all religious groups again based on the topic of the day. So to me, India has been always tolerant or intolerant whoever has been in power notwithstanding. So why is this spectre of intolerance looming large today? The answer is – “Blame it all on technology”. 10/15 years ago before the explosion of media and the advent of the liberator called social media, a loose intolerant comment by a political leader never got reported due to the tyranny of distance. Even if it did, it was in the local newspapers and never got amplified like it is today. Once reported, it may be discussed in Coffee House Addas in the evening in Kolkatta or if it’s Kerala in Nair Tea stalls the whole day. In Mumbai, may be in suburban trains by those privileged who managed to get a seat that is. Or lunch time discussions in offices. So acts or statements of intolerance had very limited scope for discussion and amplification. But today it is completely different. Thanks to 24*7 news channel proliferation and competitive journalism any statement by a loose cannon even in the remotest part of the country gets recorded and flashed across as Breaking News. And its tweeted by news agencies. These get retweeted. Copied and posted with opinions on FB walls. Gets shared on multiple WhatsApp groups (and I know of very few individuals who are not part of WA groups these days in Urban India😜😜). Blogs get written like this one😜. Memes get created and circulated. All this feeds the coal for the “Outrage factory” and it steams in with full capacity. So first the main stream media and then social media picks up any stupid, nonsensical or controversial rant/comment and provides what I call as the “viral velocity”. So opinions and counter opinions which were expressed only among few within four walls today are discussed, commented upon, value added thro social media vehicles and reach multitudes. The result is there for all of us to see. As the Finance Minister said that the other day and rightly so – some body from the party makes a provocative statement somewhere and the PM is expected to make a statement on the same the next day. In today’s “viral” times if the PM is expected to keep a tab of all these and make statements denouncing the same, then he needs a separate ministry called “Ministry of Condemnation” with a Cabinet Rank Minister😜😜. The winter session of the Parliament should discuss and debate on the impending legislations which will add % points to the GDP. And not waste time on historical topics like socialism, secularism and Intolerance,… If we have “tolerated” technology as a means of bringing positive change to our lives, we must also accept the side effects. Of aiding frivolous causes. So Aamir should relax and ask his wife to relax as well. If at all as a country we needed proofs of our tolerance, there are the roads, our infrastructure and many politicians who continue to come in the way of our country’s march ahead. But for our benevolent tolerance of these we will still not be rooting for Bijli, Sadak, and Paani in the 21st century. Afternoon on Sunday exactly a week ago in India, suddenly eggs went into short supply mode. Didn’t they all land up on the faces of psephologists and many pollster turned anchors in Delhi and other places??? For more than 3 months, India had been hijacked by elections in one state – Bihar. 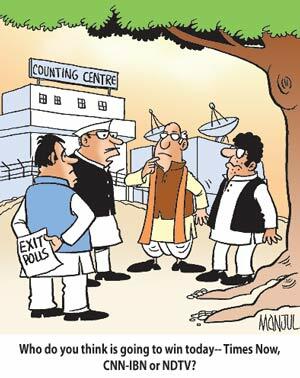 At the end of the tiring, long drawn 5 phased elections and just before the actual counting on 8th Nov (last Sunday) – almost all channels went on an overdrive with telecast of their exit poll results. The channels had used different agencies to conduct the same, extrapolate the vote share into seats and projected the results. 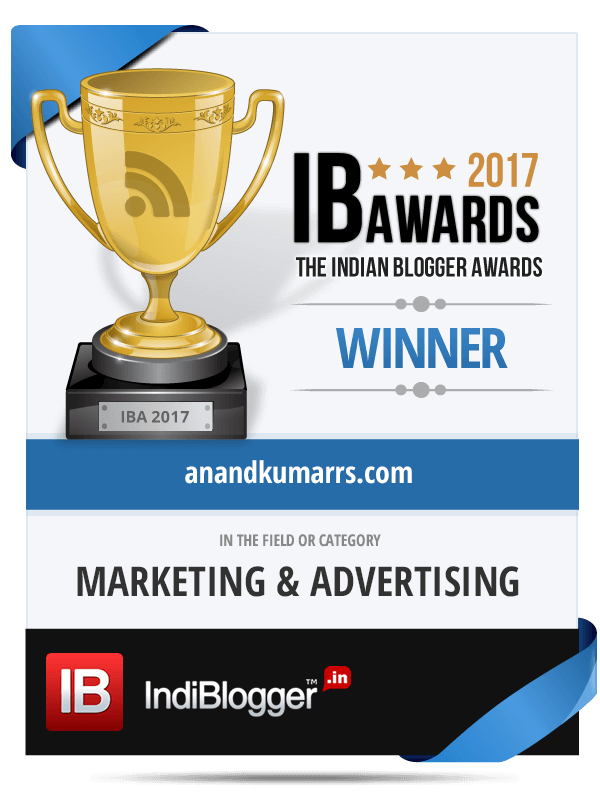 However, in the afternoon when the actual results started coming in, it was clear that all the channels and their agencies were way off the mark. While all the channels had predicted a very close election with a wafer thin majority either in favour of the NDA or the Mahaghatbandhan (MGB from here), the actual outcome was more than a landslide win for the Nitish led MGB and a massive blow to Modi led NDA and ofcourse to the pollsters!!! Ironically the one agency (AXIS) which had got it correct didn’t get the opportunity to air their poll results. The channel’s (CNN-IBN) management thought it outrageous to telecast a poll which gave 169-183 seats to the MGB we are told!!! Amidst all this mass Exit poll debacle there was only one individual – Dr. Surjit Bhalla who stuck his neck out and gave 175 seats for the MGB just by his own forecast model (not exit polls) in his Indian Express article a few days before the counting and got it right. This massive blow to Modi may be a 1st since his historic 2014 win, but for the pollsters this blow is not the 1st. Before the Bihar elections when Delhi went into polls this year, the same thing happened. While most polls predicted a close fight between BJP and AAP, the final result was clean sweep by the broom party. None of the exit/opinion polls captured that kind of a sweep. In the 2014 Lok Sabha elections again it was only one agency – Today’s Chanakya which correctly called the outcome. Most others projected just a simple majority for the NDA. Inspite of this way off their mark predictions what is the bet that the same agencies will not again carry out opinion polls/ exit polls the next time around?? These are competitive times for the channels and the polling agencies. As any election approaches (Central/State) these must be the first to salivate and glee at the prospects of increasing their TRPs with all the election related programming in which the opinion polls and exit polls are now an integral part. So we will continue to see the much hyped exit polls packaged as with new improved methodology, bigger and improved sampling next time over. Again. Years ago when the idea of Opinion polls and Exit polls got imported to India from the US (I guess) it was fascinating. As mortals, there is this tendency in us to jump the gun. Those trips to palmists, astrologers and soothsayers of different hues to know our Aane wale kal explain this tendency. Similarly we feel excited to know who will be our rulers before the actual counting is done through exit polls though it is just a few days ahead. But US and other western democracies from where these concepts originated, are less complex and more homogenous as a society. So calling an election after an exit poll with a very small sample size and extrapolating the results there is a less arduous task I guess. (Even there Exit polls have gone awfully wrong) Ofcourse India is another kettle of beef (😁) altogether. We are repeatedly told that we have religion based voting, caste based voting, community based voting and what have you. But one thing which is missed in all this “______based voting” which the pollsters and analysts keep talking about is the New Indian voter’s “Brain based voting”!!! As we saw now in the 2014 Lok Sabha elections, Delhi state elections and now in Bihar the difference in an election swinging one way or the other depends on the non-core party voters. Core party voters (members/supporters and sympathisers) vote for their party in any case. It is the Non-core party voters who bring in the swing in a particular party’s favour. They voted in a big way in favour of Narendra Modi in the 2014 elections and NDA got an overwhelming mandate. However in Delhi state elections the Non-core party voters who voted for BJP in the Lok Sabha elections voted for AAP and swept it to power. Similarly the non-core party voters pulled their might in favour of MGB in Bihar. So most of the non-core party voters in Bihar who wanted to see Narendra Modi as PM wanted to see Nitish as their CM. Perhaps. I didn’t get to see (or maybe I missed) this angle where the voters are getting smarter by the day in terms of their choices and do “Brain based voting”. So we get these results. Overwhelming mandate for Modi for PM. But Kejriwal for CM or Nitish for CM though they are entrenched firmly in different camps.